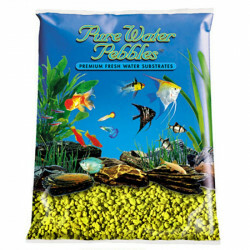 Pure Water Pebbles freshwater aquarium substrates offer aquarium hobbyists and professionals unique, fun, and simple solutions for establishing the base layer of a tank. Their natural and acrylic-coated gravels are perfect for use in freshwater fish tanks, ponds, water gardens, fountains, and more. 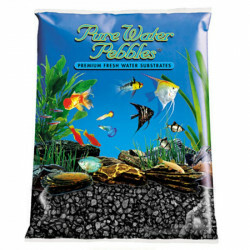 Pure Water Pebbles are available as stones, gravel, pebbles, rocks, and sand, in a wide variety of shapes, sizes, gloss, and colors. All Pure Water Pebbles substrates look great in any aquarium, and are perfect for aquascaping your new fish tank. Natural gravel is an excellent alternative to artificial materials, such as rubber or plastic, and allows you to naturally bring out the best appearance from your fish, plants, and background. Real gravel also provides bottom dwellers, such as hermit crabs, amphibians, and even reptiles, with an authentic living surface. 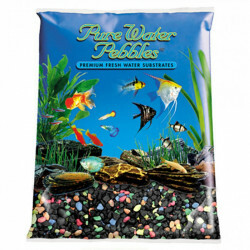 Whether you're looking for gravel or natural aquarium sand, Pure Water Pebbles has what you need.